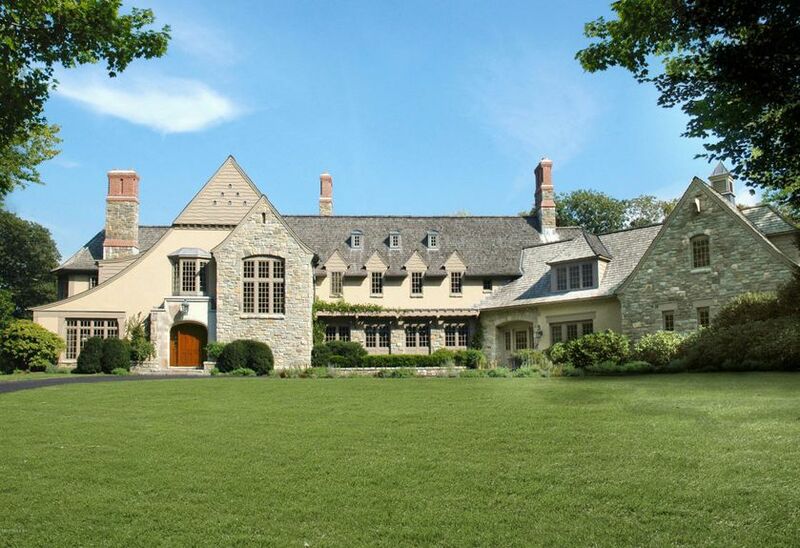 33 Sherwood Avenue, off Riversville Road, lists in September at $3.2M, gets quick deal. Clever bathroom design encourages interaction between multiple users! As I’ve made clear in previous posts, I do like certain contemporaries. For instance, this example on 33 Sherwood Avenue, Greenwich, which has quickly gone to contract, is great. I even like the furniture. 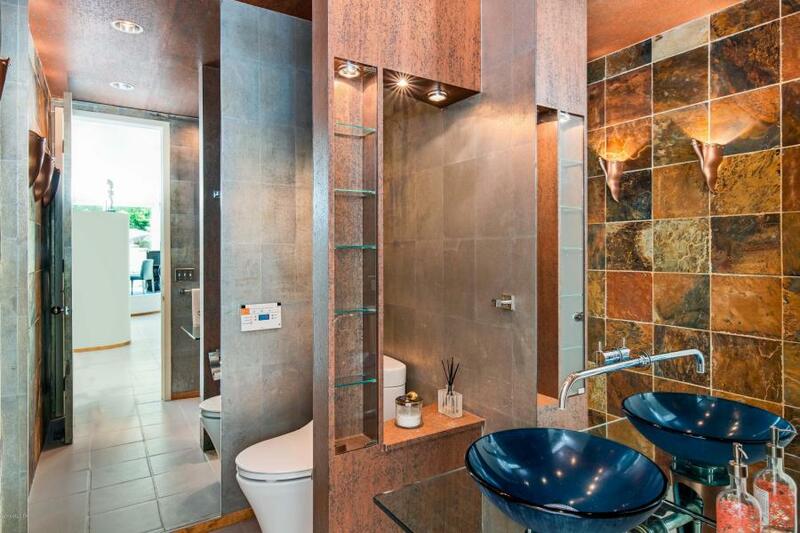 The only little detail that “puzzles” me is the side-by-side toilets in the master bath. Oh, and that wall-opening between sink and toilet, what’s that for? I guess so that someone brushing their teeth at the sink can keep an eye on someone else as they perform their, uh, duties? This would not work for me, but perhaps I’m old-fashioned. 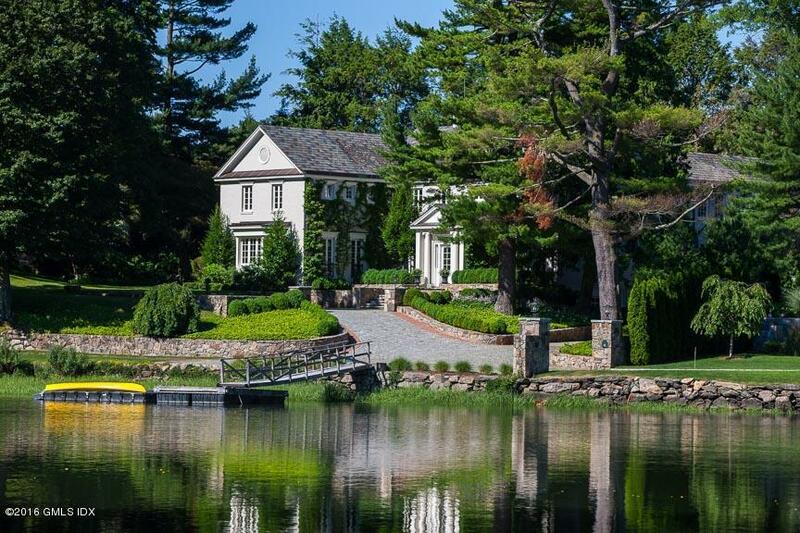 6 Ford Lane, Old Greenwich, waterfront house w/extra lot, asked $7.5M, one week later, DEAL. Long before the Greenwich MLS publishes reports of deals under contract, there is “scuttlebutt” among us brokers. Are you busy? Are you showing lots of stuff? What happened last weekend, how many people did you take out? Until very recently, the usual answer was zip, zero, nada, but now, suddenly, I am getting reliable reports of genuine…dare I say it?…busy-ness among my compañeros (at various firms). And it’s not because of this warm weather, the deals I’m hearing about clearly started in the last two weeks. 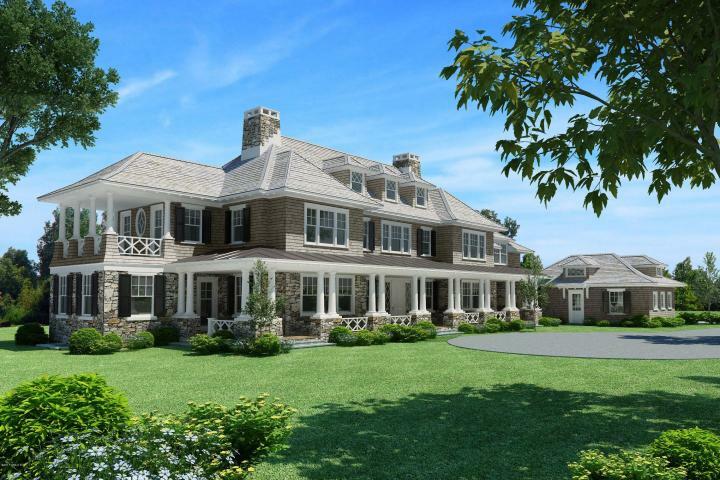 Here are two very fresh examples: 6 Ford Lane, Old Greenwich waterfront, $7,500,000. 1986 house with some updating, land size .71 acres, which includes an adjacent vacant parcel of .29 acres. Part of the house is in the flood-zone (oh no! ), but the first-floor’s at 20 feet, so gimmie a break… if that worries you, you need to undergo years of analysis. Anyway, perpetual market-worrier Archino puts this baby on Feb. 13th and had a done deal in SEVEN DAYS. Hot enough for ya? 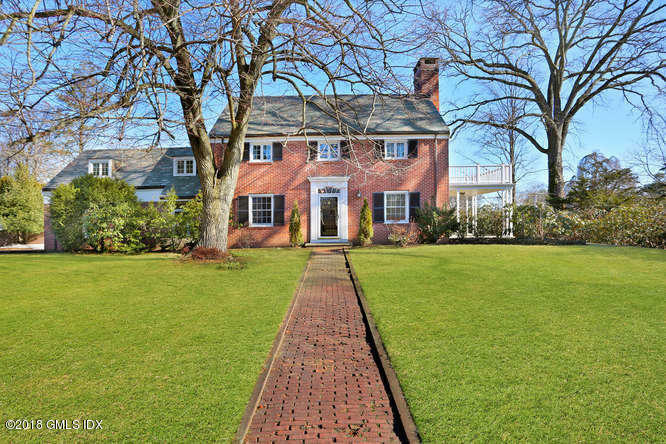 8 Mayo Avenue, Greenwich, $2,695,000. In the heart of Belle Haven, but….not in Association. Nevertheless, instant deal with multiple bids. 8 Mayo Avenue* , Belle Haven section of Greenwich, but not in Belle Haven Association (oh no! ), $2,695,000. Great old 1944 brick colonial, some updating, .57 acres, got a deal in about a week, three bidders! By the way, that’s .57 acres in the R-1 zone, meaning a paltry FAR of just 3,352 square feet, but wait! FAR was further restricted by the adjacent right-of-way to a rear property. Total FAR, therefore, is a mere 2,780 sq.ft. Did the bidders give a hoot? They did not! Market heating up. If you’ve been watching some place, waiting for the price to drop again, make your move now. 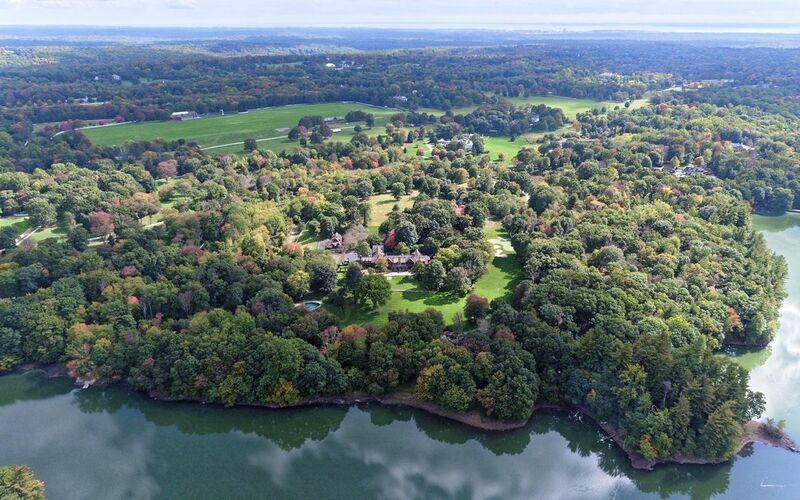 In addition to the above three that just happened, there are four more $7M+ deals about to get reported, including a $9,000,000-ish Lake Avenue mansion. The big stuff is selling again! 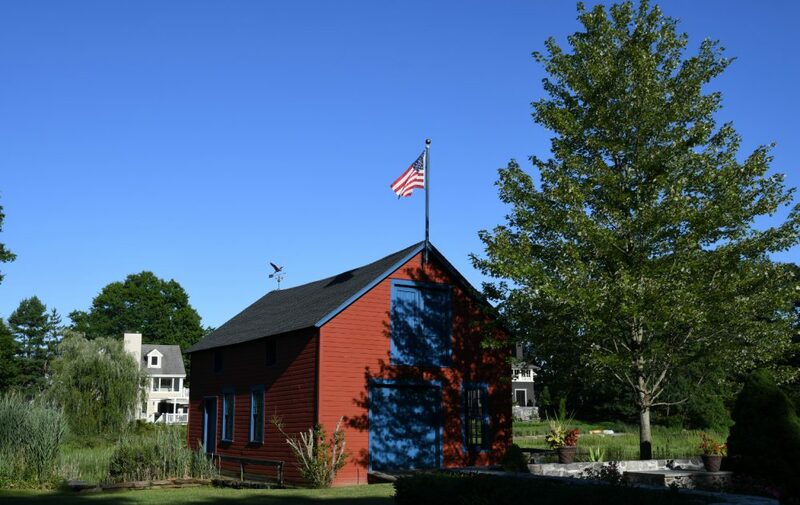 It’s been a long, hard slog since March 2009, but slowly, ever so slowly, property values in Greenwich’s so-called “back country” (loosely defined as beginning at about 2+ miles from downtown) are steadily regaining their losses. Riverside and Old Greenwich recovered long ago, but other parts of town weren’t so lucky. For a while, there was even talk of new paradigms: “no one wants back country anymore, and certainly not 10,000 square feet” became a commonly held view. But the market had other opinions. True, no one wanted your 10,000 square foot back country mansion at the price you paid for it, but when the priced dropped sufficiently low, suddenly someone stepped up to buy. I always felt that things couldn’t be that bad if you could still get, say, $5 1/2 million for the place you paid $8 million for. 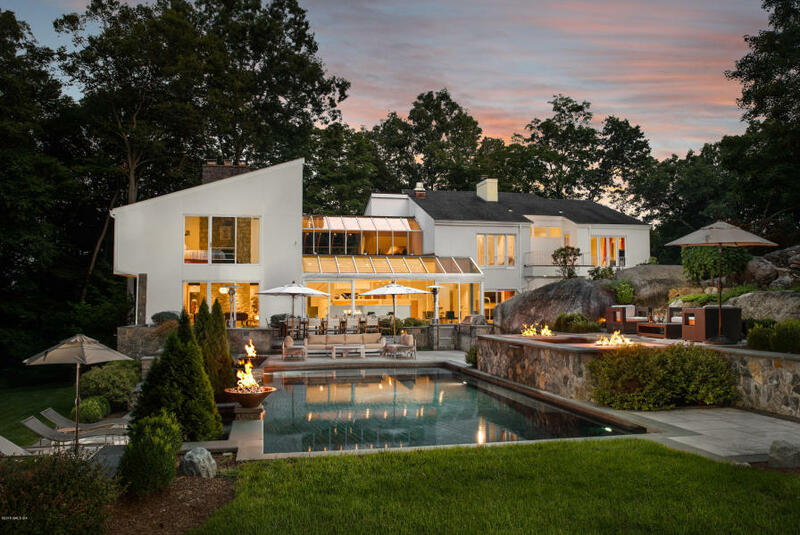 75 Rock Maple, Greenwich (off Stanwich Road), $5,695,000. Came on May 24th, already has a deal! This was a very smart asking price. We’ll have to wait for the closing, but I won’t be surprised if it had a little bidding war. You want the truth? You can handle the truth, so here it is: houses priced $5,000,000-6,000,000 are trading quite nicely, thank you. How many? So far this year, we’re up to 11 closings, with 6 more pending. For all of 2016, we had a total of 12, so there, my friends, is another clear indicator of that “zippy” market I talked about.. There is a theory among brokers that these $5M-6M buyers are “yesterday’s $10M buyers” who are now spending less not because they don’t have the dough, but more out of a sense of caution. This could be true, I’m not sure, but as I wrote yesterday, I’m certain some percentage of $10M buyers just aren’t here anymore. They’ve stayed in Manhattan or they’ve gone to places like Florida. Now consider this: If all the Greenwich property owners with houses on the market for $10M+ (there are 41 of them) suddenly decided they needed to sell RIGHT NOW, they would need to slash their asking prices by millions. That would quickly drive down the price of all these houses presently selling in the 5’s and 6’s. But guess what? 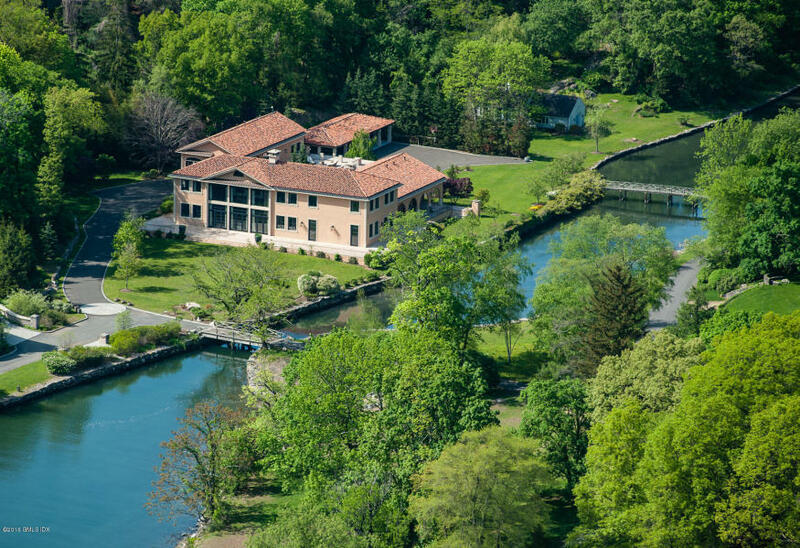 High-end Greenwich property owners almost never really “need” to sell. That’s why we have so many on the market celebrating their 5th anniversary, 6th, 7th, all the way up to a few that have been on for FOURTEEN YEARS. So all you sellers in the $5M+’s? Relax, your market value is safe. Finally, An End To Waterfront Hegemony! Yes friends, it’s happened at last! Finally, finally, finally…a truly big sale (ask was $9,000,000) has occurred and it’s not on the water! Wait..what? It is?? Oh, crap. Truth is, I just wanted to use the word “hegemony” in a sentence, but of course this is waterfront, that’s all that’s selling in the $6M+ category. Will this situation ever change? 200 Guards Road, Fabulous house on 31 acres in Conyers Farm: as good as it gets. Last ask $17.5M. Was it only last Tuesday that the Connecticut Post was telling us about the latest Hartford plan to drive out the last remaining profitable business in Connecticut? I believe so, but perhaps because this particular tax plan is actually opposed by the Governor (is that possible?) maybe we can limp along for another year, by golly. Anyway, today’s big news is that a deal has been struck for a spectacular Conyers Farm property which was asking $17,500,000. A previous broker started it at $27,895,000, carried it through two price reductions over the next year and nine months, but ultimately was shown the door. I’ve heard it a hundred times, from brokers like Julianne Ward and others, it’s better to just say no to a listing that you know is grossly overpriced. Instead of taking the listing at a crazy price, what you do is this: Make an impressive presentation to the sellers, and include in that presentation a skillful defense of your recommended price. You will (likely) then be rejected by the sellers, who will instead give the listing to the broker with the crazy price, BUT, a year or two down the road, the sellers, realizing you were right all along, will call you up and appoint you as the second listing broker. That’s where you want to be, that’s how this game is played. On the other hand, it can be hard to resist one of these big “trophy listings”. After all, your firm gets lots and lots of advertising value from it, you get the prestige boost, which can lead to other big listings, and hey, there’s always the possibility you’ll persuade the sellers to g-r-a-a-d-u-a-l-l-y lower the price, who knows? I have no idea how things went down with this particular listing, it’s entirely possible that first asking price was the owner’s idea to begin with. In any case, this is a very significant and useful sale. It shows continuing life in the high-end, and in particular, the backcountry high-end. 16 Chimney Corner Lane, last ask $9,295,000, now has deal. 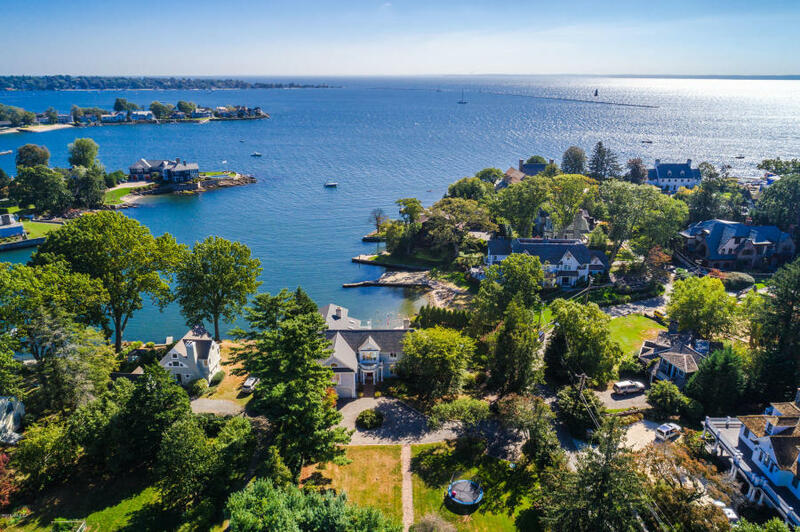 It took a few months and a few price reductions, but David Ogilvy’s spectacular listing on Chimney Corner Lane has found a buyer, thanks to Houlihan broker Lindsay Sheehy. I really, really like to see signs of life in this price category, it makes me think perhaps there’s hope yet for Connecticut, but if I could pick and choose, I guess I’d be even happier if something in this range was selling in the backcountry. But what the hell, it’s still great news. Meanwhile, the place next door, now similarly priced, has been sitting around, on and off the market, for…for… (wait for it)… TWELVE YEARS. But never mind next door, click on the listing link above, I think you’ll be impressed. This place is truly beautiful, an example of great elegance, and expense-no-object decorating and finishes, but somehow not overwhelming or show-offy. Anyway, that’s MY take.